One of my favorite places in the world is the Waipoua Forest on the north island of New Zealand. 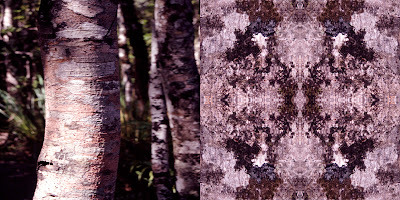 The Kauri trees surrounded by the forest are amazingly textural and their environment is magnificent. My first view of the mighty Kauri changed the direction of my art. 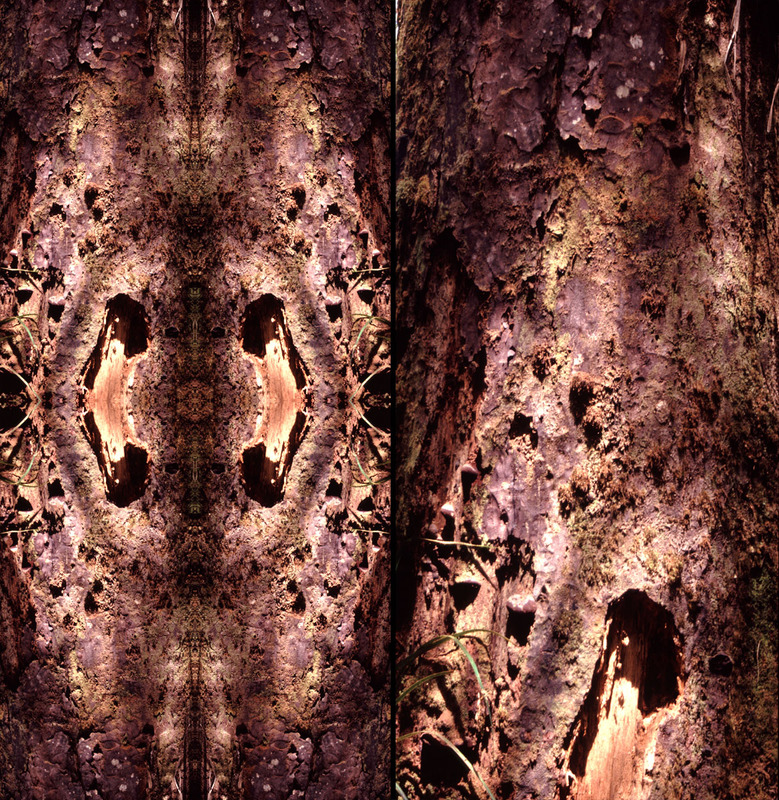 My pictures taken in the forest have influenced my work since then. 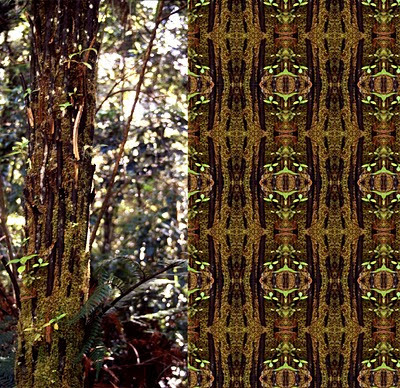 Depicted here are pics from the forest and the patterns they inspired.